Forgive me for bringing old news to your ears but I have only just discovered the marvelous, Sleek Blush by 3 Palette… *gasps in horror* If you already know all about them and just fancied checking out the swatches just scroll right to the bottom for the pics and you can ignore my raving excitement.. Yes I know! I’m slow right!? But better late than never so they say! I am completely besotted by this palette! I am so glad I went for the shade that I did aswell as I was a little spoiled for choice on the site. 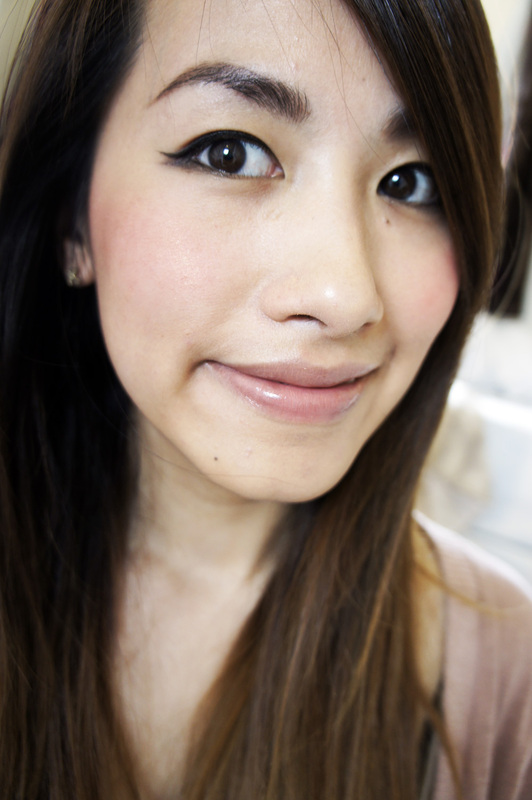 I ended up going for LACE 367 to go with the Shade of Orange Lipstick (READ REVIEW HERE) that I got too. As the brand suggests everything in the range looks and feels very Sleek with the matte, black packaging and pigment intense formulas All that you would expect from a high end product but without the hefty price tag! But back to this blusher… for those like me who are a little late on board, the blush by 3 palette is a blusher trio containing 3 tones of blushers in both matte and shimmer finishes. The range has 5 colour variations from Pinks, Reds to Oranges, each one as bright and bold as the next! 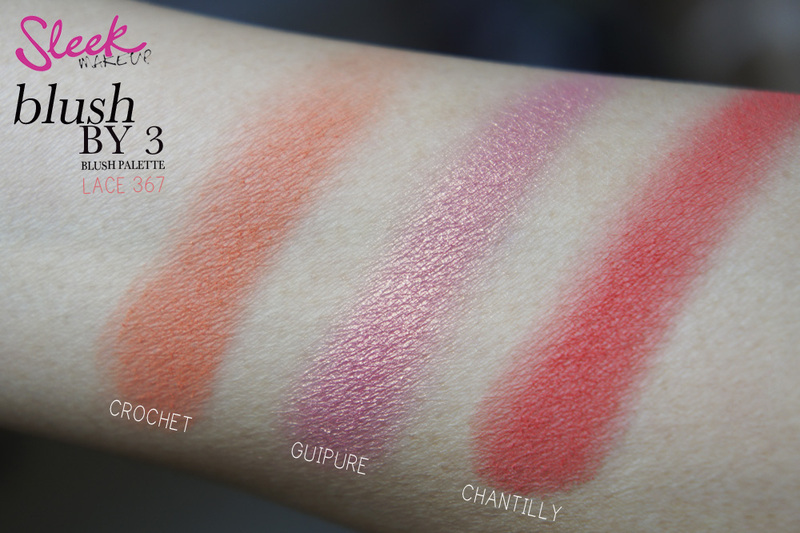 LACE 367 contains 2 Matte oranges, ( 1 x coral orange and 1 x tangerine) and 1 shimmer peach. As scary (scarily beautiful) as it looks in the palette, they are actually very wearable and flattering shades. I also found the formula to be quite smooth and not overly powdery like various other budget brands. 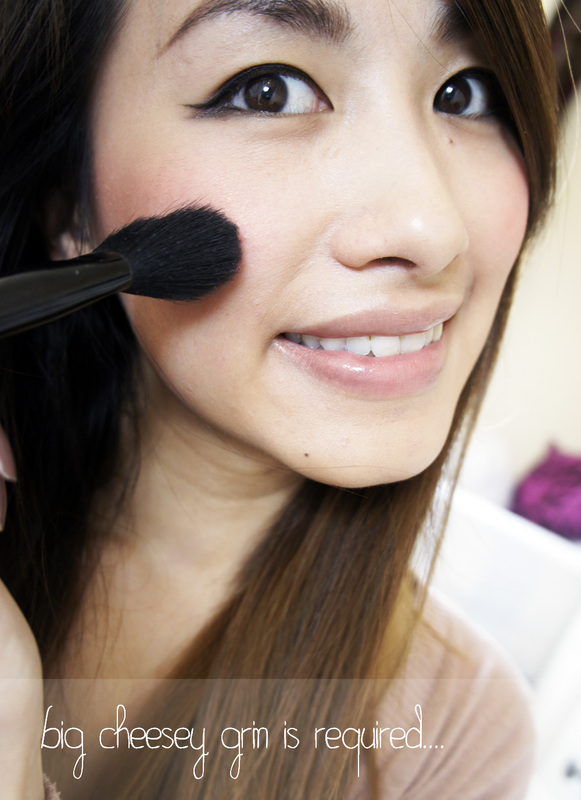 When using this blush I recommend applying lightly. It’s best to layer it to slowly build up the intensity you need as these are super pigmented blushers! A little really goes a long way and if you’re not careful you could end looking like a clown. I’m very impressed with this palette to say the least, I think it might be giving my favourite Illamasqua blush a run for it’s money. I love that the three shades compliment each other so nicely and the fact that it contains both matte and shimmer finishes! 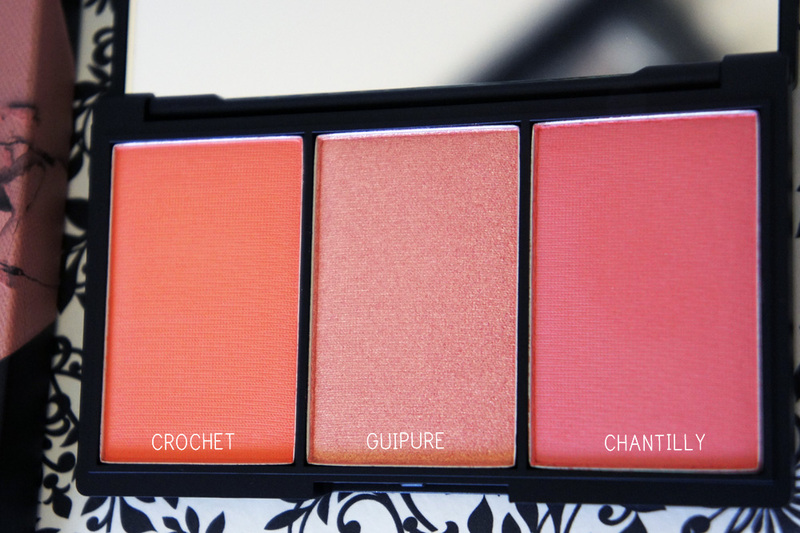 This Palette in particular is great for giving a warm glow to my complexion and since Orange is set to be the it colour for Summer 2013, I can see this one fast becoming my handbag must have for the next few sunny weeks! One thing I would say though is that the representation of the shades on the site is not very true to colour, so make sure you do a little research for some swatches before you commit to a shade. I managed to get a very good colour match in my photos and as you can see LACE on the website looks completely different! Have you tried this Blusher? What shade have you tried? Let me know! 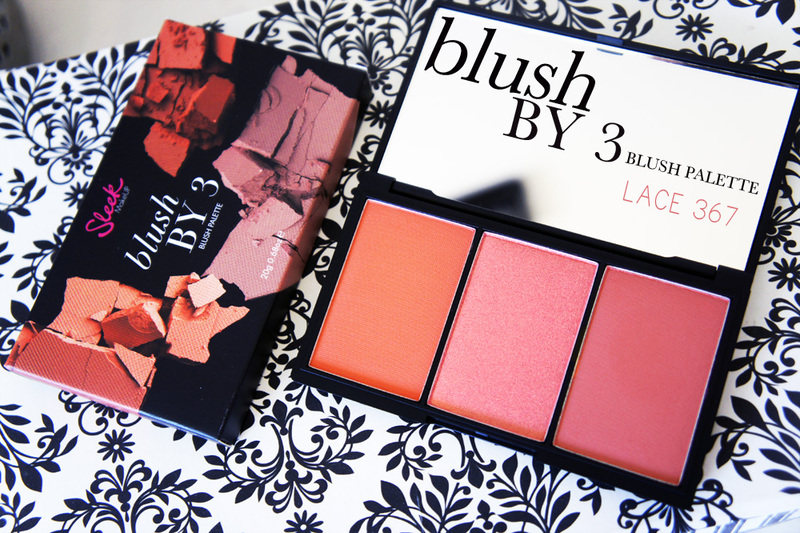 Tags: Beauty, BLUSH BY 3 BLUSHER PALETTE, blusher, LACE 367, makeup, ORANGE, SLEEK MAKE UP, SS13 TREND. Bookmark the permalink. Hi thanks for leaving a comment! Haha glad its not just me that didn’t know about these then :) Let me know if u do pick one up, really lovely blushers! These look so gorgeous! I love pink blush and that Guipure looks splendid. Did you use all 3 colors at once? Is the orange shade a “brightening” orange, or a “pop of colour” orange? I hope you get what I mean LOL! Such a pretty combination of blushes!! loved the photos. Love those blushes! I wish we had Sleek here in the US.